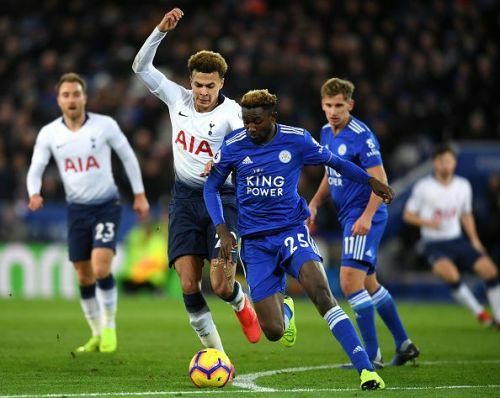 Tottenham Hotspur play host to Leicester City on Sunday in what promises to be a fascinating clash between two of the Premier League’s most exciting teams. Despite being eliminated from both the EFL and FA Cups in recent weeks, Tottenham’s form in the Premier League has not really dropped as they’ve reeled off 3 victories in a row despite losing key players Harry Kane and Dele Alli to injury. 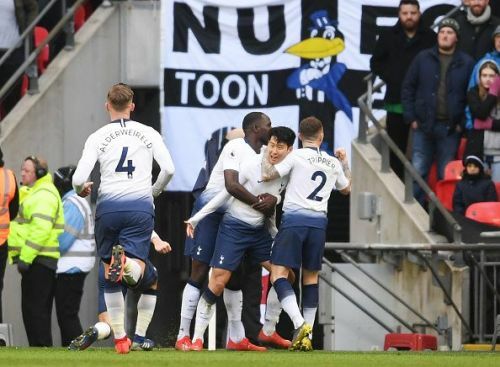 Most recently, they overcame the challenge of Newcastle at Wembley, winning 1-0 thanks to a late goal from Heung-min Son. Leicester meanwhile have been struggling recently, as Claude Puel’s side have won just one game since the beginning of 2019 despite beating champions Manchester City on Boxing Day. They were able to secure a point against title-chasing Liverpool two weeks ago, however, which was encouraging. The last time these teams met was back in early December, when a slightly weakened Tottenham side – who rested Harry Kane prior to a Champions League clash with Barcelona – comfortably defeated Leicester 2-0 at the King Power Stadium thanks to goals from Son and Alli. Referee a good omen for Spurs? Michael Oliver has been announced as the referee for Sunday’s game and that could bode well for Spurs. Mauricio Pochettino’s side have won 19 of 31 games refereed by Oliver, with 5 draws and 7 defeats in those fixtures. The last time he refereed a Tottenham game, they defeated Chelsea 1-0 in the first leg of the EFL Cup semi-final. Leicester meanwhile have a mixed record with Oliver in charge – they’ve lost 2 of their 3 games that were refereed by him this season, and he was also in charge when they were thumped 6-1 by Spurs in May 2017. Maddison a man to watch? 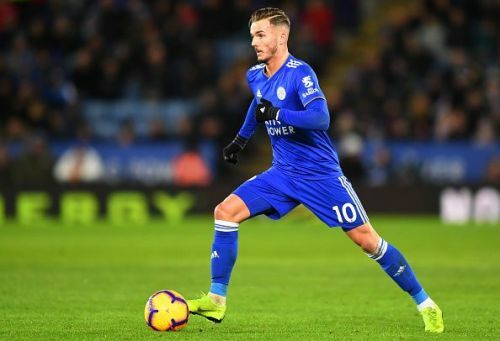 Leicester’s James Maddison has been a standout player for the Foxes since joining them from Norwich City in the summer, and in his 23 Premier League appearances thus far he’s scored 5 goals and has also contributed 4 assists. The England youngster could have an even bigger spotlight on him on Sunday too, as it’s being reported that Spurs are considering a move for him should Christian Eriksen be sold to Real Madrid. It’d clearly take a lot of money to persuade Leicester to part with such a talent, though – but a good game against Spurs on Sunday might make Daniel Levy open his chequebook. Can the match live up to last season’s classic? The last time Tottenham and Leicester met at Wembley, very little was on the line as the match took place on the final day of the season, at which point the places in the final Premier League table had largely been decided. That’s why it came as a shock when the game turned out to be a bonafide classic. Tottenham ended up winning the match 5-4, with Harry Kane’s 76th-minute winner finally deciding things after both teams seemingly couldn’t stop scoring, with Leicester leading 2-1 at half time. If this Sunday’s game lives up to those lofty standards, then we could be in for a hell of a spectacle. Will Tottenham leave it late again? Mauricio Pochettino’s side have won 19 of their 25 Premier League games thus far, an impressive record by anyone’s standards, but perhaps most impressive is the fact that they’ve often left things late before pulling out the win. Of their winning goals this season, 6 of them have come in the second half of games, and their last 3 victories have come via goals after the 80th minute. Essentially, even if they’re leading, Leicester simply can’t let up for a second because Spurs seemingly don’t know the meaning of giving up. If you’re someone who enjoys betting, you should probably avoid putting money on this game turning out to be a draw. Since Pochettino arrived at Tottenham in the summer of 2014, his side have played Leicester in 9 Premier League fixtures, and have only drawn on 2 occasions – the most recent being in October 2016. More to the point, Leicester have only drawn once in the Premier League in their last 10 games, while Tottenham incredibly haven’t drawn a league match since April 2018! That streak has to end at some point – but history suggests it won’t happen on Sunday.